So what is single use plastic and why is it a problem? Single-use plastics, or disposable plastics, are used only once before they are thrown away or recycled. These items are things like plastic bags, straws, coffee stirrers, soda and water bottles and most food packaging. 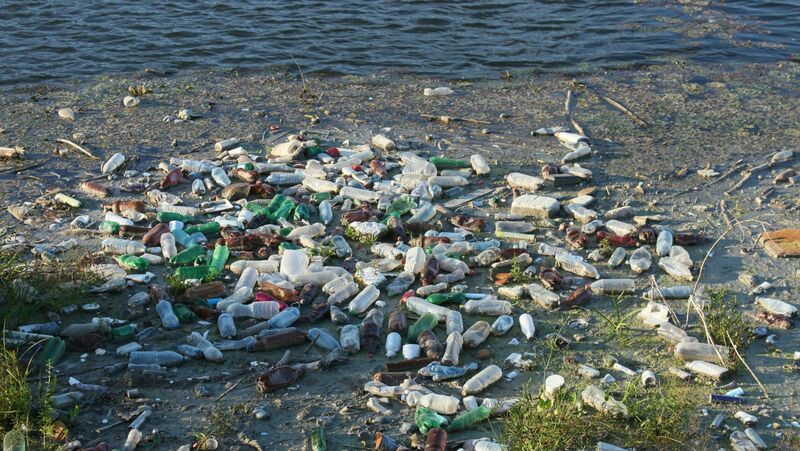 We produce roughly 300 million tons of plastic each year and half of it is disposable! World-wide only 10-13% of plastic items are recycled. The nature of petroleum based disposable plastic makes it difficult to recycle and they have to add new virgin materials and chemicals to it to do so. Additionally there are a limited number of items that recycled plastic can be used. Petroleum based plastic is not biodegradable and usually goes into a landfill where it is buried or it gets into the water and finds it’s way into the ocean. Although plastic will not biodegrade (decompose into natural substance like soil,) it will degrade (break down) into tiny particles after many years. In the process of breaking down, it releases toxic chemicals (additives that were used to shape and harden the plastic) which make their way into our food and water supply. These toxic chemicals are now being found in our bloodstream. And the latest research has linked them to cancer, infertility, birth defects, impaired immunity and many other ailments. We produce hundreds of millions of tons of plastic every year, most of which cannot be recycled. It’s obvious that we need to use less plastic, move towards sustainable products and services and come up with technology that recycles plastic more efficiently. In England, it is estimated that annually we use 4.7 billion plastic straws, 316 million plastic stirrers and 1.8 billion plastic-stemmed cotton buds. An estimated 10% of cotton buds are flushed down toilets and can end up in waterways and oceans. Even though non-plastic alternatives are readily available, these single-use plastic items are used for just a few minutes but take hundreds of years to break down. Cleaning up the effects of littering costs local Government millions of pounds every year. To eliminate these items from use, the Government intends to introduce a ban on their distribution and sale. The ban would come into force at some point between October 2019 and October 2020, subject to the views collected during consultation.